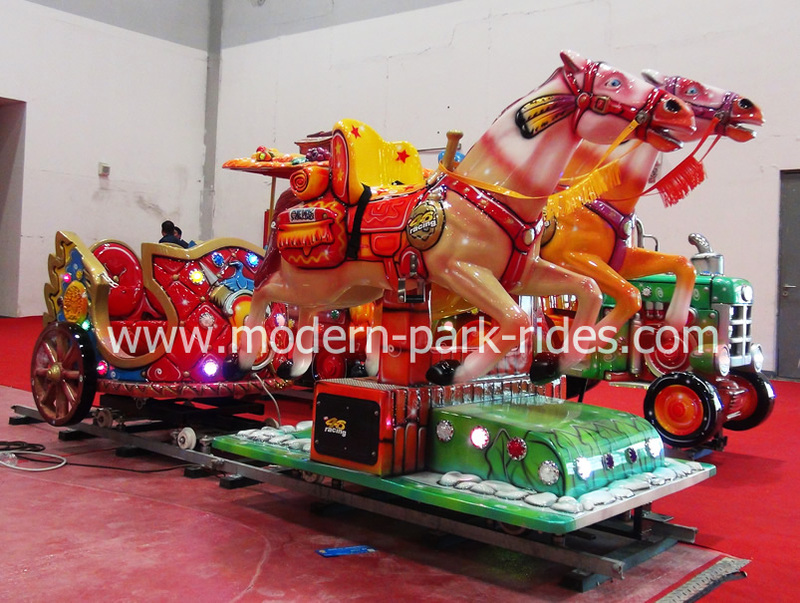 Running Horse Train Rides is a new product manufactured by Modern Amusement. With new design and bright color, the Horse Train Rides is very polular in both chidren and adults. Composed by the regular rail tracks, free replacement models according to demand from the electrical chassis with input current to the track for the train started.The horse train rides is suitable for parks, kindergartens, shopping malls and other specifications can be customized according to the size of the venue.